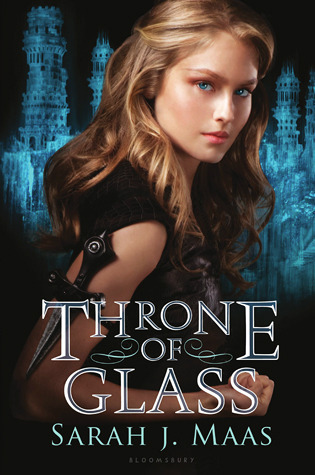 I love, love, loved Throne of Glass by Sarah J. Maas. It is a great example of how diverse young adult fantasy can be. It had me at the first line and never let go. Celaena Sardothien, the heroin, is introduced as Adarlan’s most notorious assassin. She is offered an opportunity to escape her imprisonment by participating in a competition to become the King’s champion. Through a series of challenges and competions she eliminates her opponents while discovering hidden magic and forces at work behind the scenes. The characters are rich, multi-layered and intriging. I love the fact that the story takes twists and turns which are unexpected yet believable to the characters and the story. My favorite part, quite honestly, is the writing. It’s beautifully written with an effortless flow that has you turning pages with ease and enjoying every moment. I loved this book from start to finish. I did. I just LOVED it and can’t say enough about it. From character development to the world-building, and setting to tone it was pure reading joy. I rooted for the main character and her relationships while depising her enemies. It was a perfect read for me with every element satisying right to the end. This entry was posted in Characters, Review, Writing Inspiration by michelelisiecki. Bookmark the permalink.